iPhone Contacts Missing Names? Here Is the Fix! 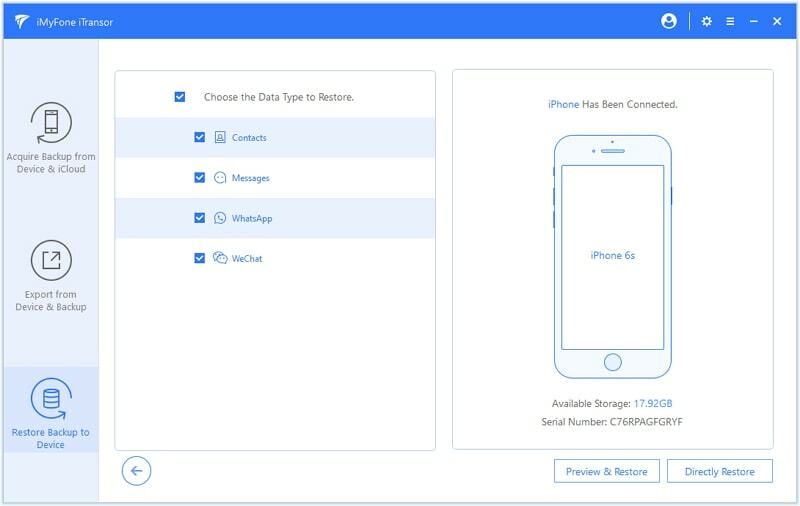 It have been reported on many forums and even on Apple Communities claiming that iPhone contacts have suddenly gone missing no matter they run the latest software iOS 12 or other old iOS versions, showing only numbers, no names. This is a serious problem for iPhone users, since it is causing great inconvenience to people. Therefore many people are seeking a solution. There are several ways to bring back the missing names and in this article, we are going to look at a few of the most effective ones. One or more of the solutions listed below could work to fix the problem evening you are running iOS 12 or you meet this problem after iOS 12 update. We advise you to try one after the other until your missing contacts are back. Tip 5. Did You Delete an Email Account Recently? 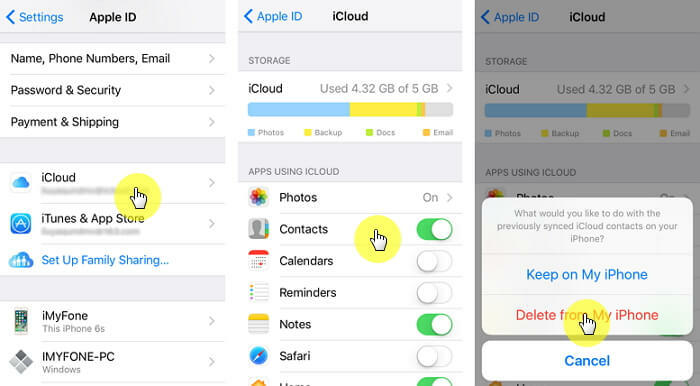 One of the easiest ways to bring back your missing names is to turn on contacts in iCloud. To do this, go to Settings > iCloud and make sure that Contacts toggle is on. If it’s not, turn it on. Step 1: Go to Settings > iCloud and turn the Contacts toggle off. Step 2: You will be asked to delete or keep previously synced contacts. Choose “Delete from My iPhone”. Don’t worry you will not be losing anything, your contacts are still in iCloud. 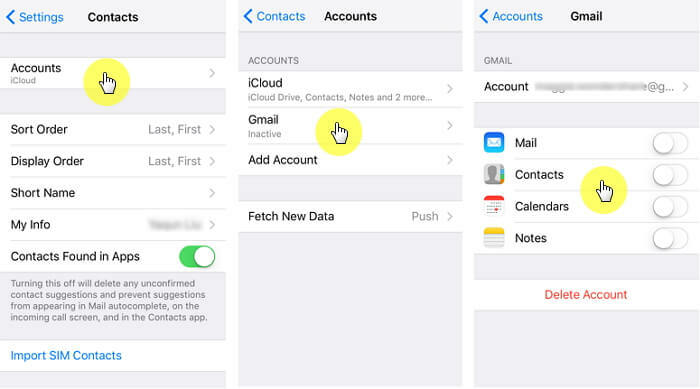 Step 3: Now turn Contacts on and your iCloud contacts should now be back on your device. 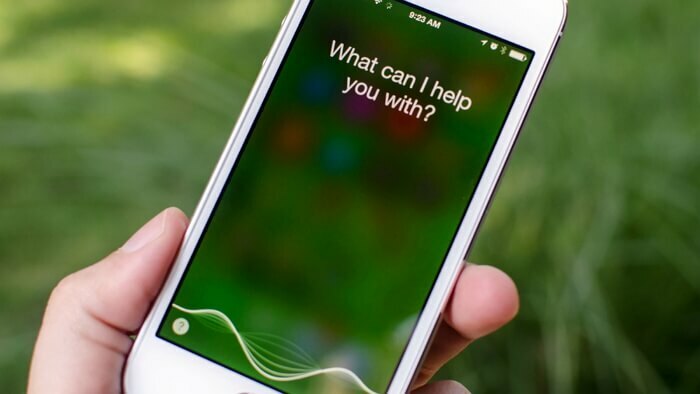 Another way to get your contacts back is to ask Siri to bring them back. Sure, Siri has been known to have some issues but if you configured her correctly, she should able to help. It’s at least worth a try. Foe many users, the iCloud solution for may fail because their contacts are synced to their Google account and they are unaware of this. If you think you may have synced your contacts with Google instead, follow these simple steps to get them back. Step 1: Open the Settings app and the go to “Contacts”. Step 2: Choose “Accounts”>“Gmail”and select your Google account.Make sure that “Contacts” is toggled ON. If it’s not, turn it on to get your contacts back. 5. Did You Delete an Email Account Recently? It is also quite likely that you may have deleted an exchange email account you no longer use and your contacts may have been imported into that email. In this case, the solution is quite simple. 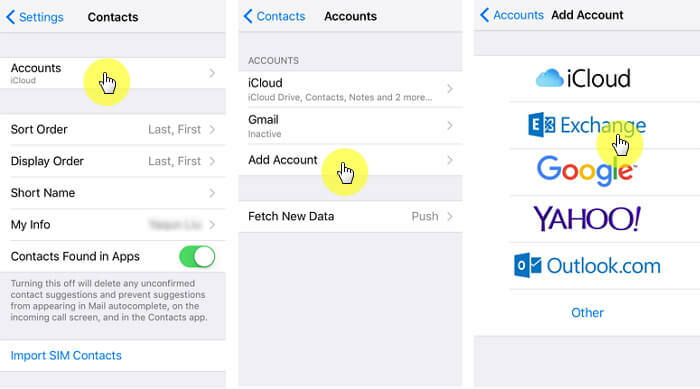 Simply re-add the email account you recently deleted to get your contacts back to normal. In order to keep you contacts safe and avoid any loss, you need make a backup of your contacts regularly. 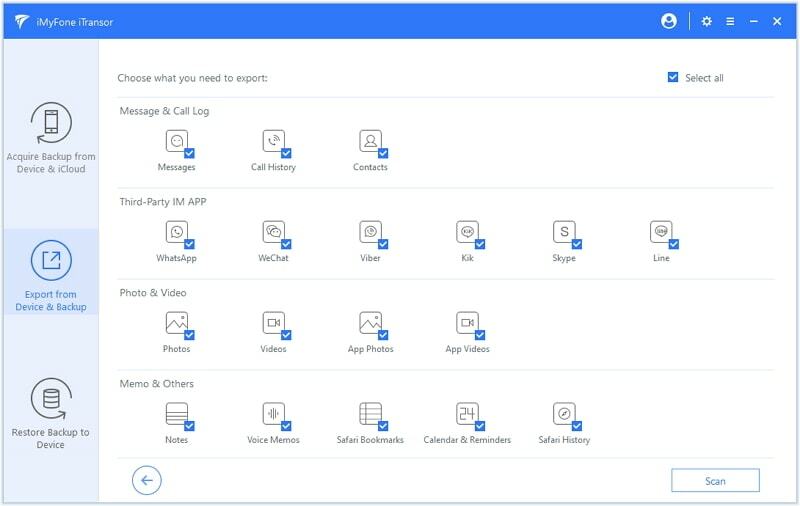 Here we introduce an efficient tool for you to backup or export the contacts on your device. It is iMyFone iTransor (compatible with iOS 12). You can use the program to backup and restore only contacts instead of the whole data on your device. You don't have to restore your iPhone because the other data will not be affected. 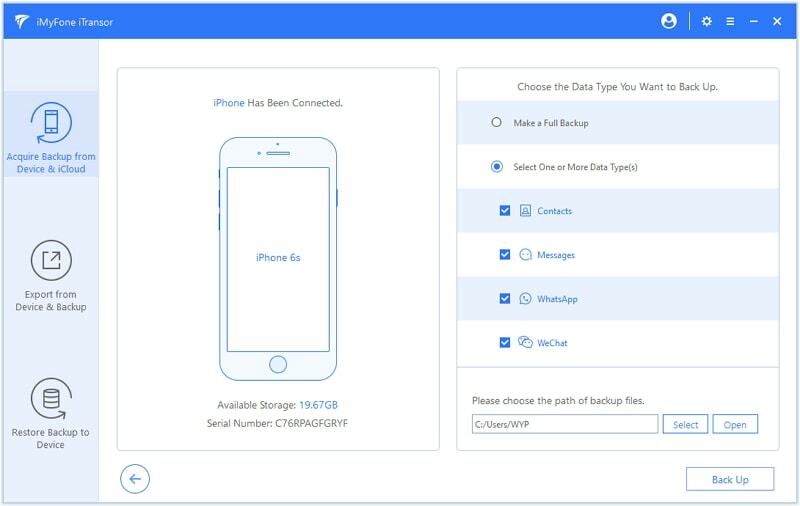 You can also export contacts including other 20+ types of data like messages, photos, WhatsApp message, WeChat messages, notes, and so on from your device or from your iTunes/iCloud/iTransor backup.